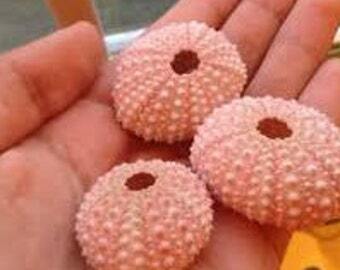 These tiny versatile seashells from India are exciting! The bright and vibrant colors, several varieties within the colorful mix. Easy to use, great for crafts and making Sailor Valentine artwork, or to accent a mix of glass chips or marbles. Kids love them! You decide, there are so many ideas and uses! These are the colors within the variety mix. They may not be the exact same as photo due to monitor adjustments. Wash in rubbing alcohol to pop the color! You will be sent a bag containing a HEAPING 1 cup (hundreds) of these natural beauties. The majority of seashells measurements are 1/4 - 1/2". 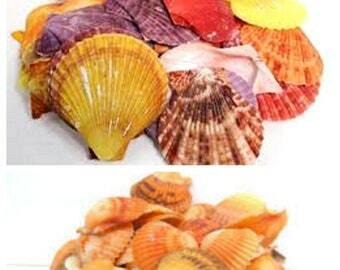 NOTE: All bulk bags of shells may contain some broken/chipped shells. Very beautiful shells and a great variety. Beautiful seashells look great in my terrariums with my air plants. I assumed shells would be a bit bigger, but they’ll do.